If you use new-age beauty products then chances are you will encounter an organic compound listed on the back of your container, called cyclomethicone. This substance is a clear, alcohol-free and odorless liquid, added to personal skin care products to give them a smoother texture that is more easily applied to the skin. Cyclomethicone is often blended with perfumes, lotions, creams, and hair care lines, and is currently being researched for use in products that tend to cause dryness and irritation. When used in skin care products, cyclomethicone helps leave skin feeling smooth and lubricated, instead of sticky or oily. This ingredient can also act as a replacement for petroleum based solvents, thereby decreasing the effects on the ozone layer. Created in the early 1980s by Dow-Corning as an alternative emulsifier for personal care products, the chemical structure of cyclomethicone allows it to be easily spread across the skin without entering the pores or sticking to skin cells. An important aspect of any skin care product is its ability to be spread evenly across the skin to deliver the active healing ingredients to all targeted areas equally. Cyclomethicone was created to give skin care products a smoother texture that can be effortlessly applied to the skin surface. There are several reasons why cyclomethicone is an effective additive to lotions and creams. First, the molecules of this chemical are too large to enter human pores, thus leaving the product on the surface of the skin, creating a softer and smoother skin texture. Also, cyclomethicone molecules don’t tend to block the active ingredients from entering the skin, because they tend to leave significant amounts of space in between each other. These properties have made cyclomethicone a commonly used ingredient throughout the skin care and cosmetics industry. If you find yourself with problems of dry skin or hair, look for a product that uses 5%-10% cyclomethicone, or ask your dermatologist for help in selecting the right product. (Though because this compound is widely used in hair conditioners, cuticle conditioners, and body creams; you may have already encountered it at one point or another.) Cyclomethicone is also believed to aid in the rejuvenation of skin where acne scars were present, and is currently being tested for the affect it may have on psoriasis. 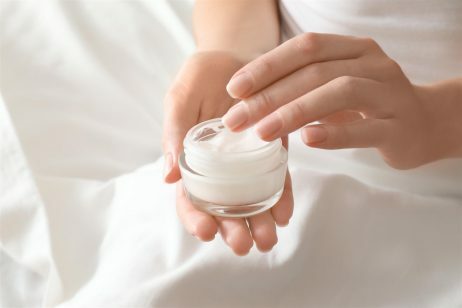 This silicone agent may also be useful in skin creams where anti-aging compositions are found because it is also thought to have moisturizing properties. Related: Best acne treatments – The Truth About 13 Top Acne Treatment. Though cyclomethicone is believed to have a variety of benefits, there are some drawbacks to using this product, especially for those with sensitive skin. For example, this ingredient is a non-comedogenic, which means that it doesn’t clog pores or cling to skin, but has been known to cause minor skin and eye irritation. Always make sure to first test any new products you purchase on a small area of your skin to ensure your safety in use. If you have already used a product containing cyclomethicone and are still experiencing signs of irritation after washing with water from your skin, please consult with your dermatologist. He or she may be able to help you find a more suitable emulsifier that is less abrasive to your skin. Cyclomethicone is still being tested and researched for use in other applications revolving around dry flaky skin on face, and excessive loss of moisture on other parts of the body. 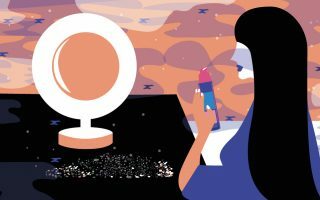 The flexibility of this chemical to merge with oils, fragrances and multiple beauty care products means that it’s likely here to stay. If you find yourself with dry hair, skin or nails, ask your dermatologist if products with cyclomethicone may help you fight the problem.